Perranporth FC have informed the League Management Committee that they are withdrawing from the application process. Whilst this is disappointing news the League fully understands the reasons for their decision and looks forward to them fulfilling their intention to join the League at a future date. My prediction..only Penryn and Helston go for it from Combo. Think a few clubs will want to see the set up of it first and the travelling involved before they commit to it. There’s a meeting on Friday involving the leagues concerned so hopefully that will shed more light on the proceedings but can’t blame clubs for wanting to see how it goes first. Especially Illogan and Perranporth who have voluntarily stepped out of the SWPL West Division over the last few years. With Steve involved you can rest assured it will be a well run league. I would look on that as pretty much the worst case scenario and whilst I don't believe that will be the case, if it is we will ALL have a problem. There will be a bit more travelling involved Mark but you would like to think that applicant clubs have taken that into account. Illogan were always a bit hesitant in light of their recent history and the same could possibly be said for Perranporth. 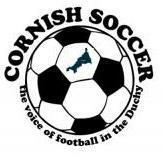 The meeting tomorrow is primarily for alignment with our Devon counterparts so that we get commonality across the two SWPL feeder leagues where we can. The composition of the two leagues is very much down to each organisation and I would think that by the end of the month it will be pretty much sorted. And thanks for the kind words. All any of us involved can do is try our best, the clubs wouldn't expect or deserve any less. Agree Mark. Nice tribute to Steve too. Has the Devon equivalent got a name yet? Yes, but well said anyway sir. Always agree with someone when they talk sense, does not happen very often on here, it is normally personal insults! Mmm - but not always older. Not aware that I've ever personally insulted anyone?